CSL Indoor Tournament last three champions. The 52nd edition of the CSL Indoor Tournament will take place at SuperDome Sports Facility in New Jersey on Sunday at 2:00 p.m.
As usual there will be three divisions, the Open Division and the Over-30 Division which will start at 2:00 p.m. and 2:40 p.m. respectively and play 7 vs 7 (6+GK); and the Premier Division, which will be played at 4:00 p.m. and play 6 vs. 6 (5+GK). The first place prize money of the Premier Division amounts up to $750 while the Over-30 and Open division range up to $285 each. Cedar Stars Academy First Team G.R.F.C. The top two teams will advance from each group. The two playoff games will start simultaneously at 7:30 p.m. and the final will kick off at 8:00 p.m. Filled with ex college standouts and former pro players, Cedar Stars Academy are the favorites to win the elite division. In fact, the Stars are the reigning champions. “Every team is going to play us hard so we got to take every game serious and defend our title,” CSA midfielder Sikele Sylvester said. 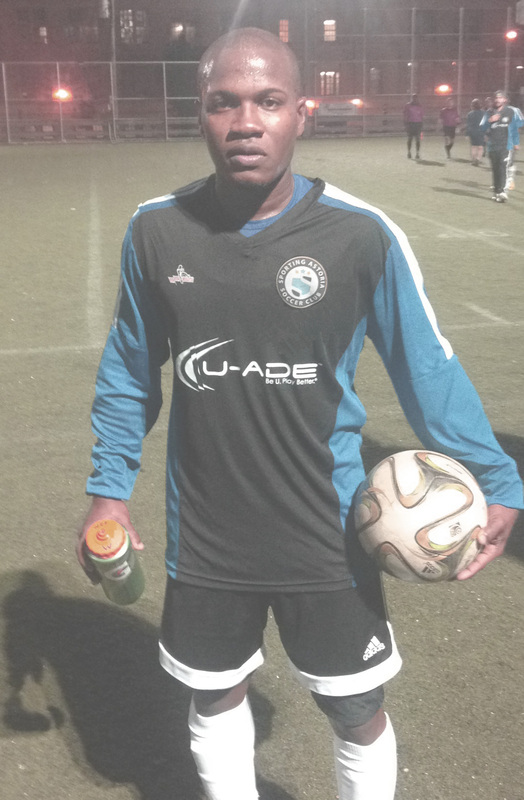 Cedar Stars Academy midfielder Sikele Sylvester. 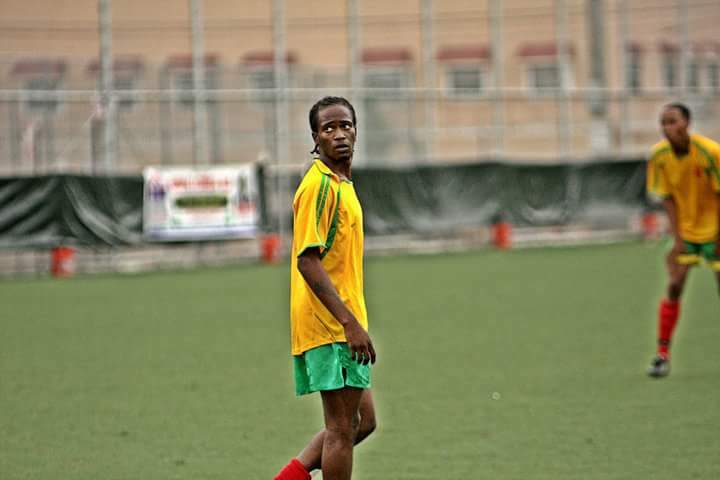 The skillful midfielder is not a stranger to indoor soccer as he won various futsal tournaments in his career. Another CSA player to keep an eye on is Christopher Katona. Katona leads the CSL’s top division in scoring, tallying 13 goals in nine games. Some other notable players in Oliver Papraniku’s roster are ex-Paraguay Primera Division keeper Bryan Lopez, former Monmouth defender Hani Nasr, NE10 2017 Player of the Year Toni Soler and 2015 MLS Draftpick Matt Jeffrey. The only other club from the top flight that will participate in the Premier Division is Doxa SC. Meanwhile CSA’s second team is the only reserve team in the top indoor division. Manhattan Celtic and 2016 winner Sporting Astoria will represent CSL’s second division in the winter tournament’s Premier Division. Celtic was recently demoted to D2 after spending five seasons in the top flight and currently sits three points below first place in the North Region of the second division. Astoria, on the other end, is in eighth place. Despite having three teams well above his side on paper, Sporting Astoria captain Damone Manning has a winning mentality. “What’s in my mind as I and the club approach this upcoming tournament is the fact that we are winners, we are confident and we have the tools to get good results,” Manning said. Sporting Astoria captain Damone Manning. FC Ulqini is the lone team from Metro I in the Premier Division. Ulqini is on top of Metro I with a perfect 9-0-0 record. The two remaining teams that will compete in the Premier Division are non-CSL clubs Vllaznimi SC and G.R.F.C. Vllanimi won the indoor tournament in 1988. Reigning champions NY Greek Americans didn't join the tournament this year. The most decorated club in the Open Division is one-time Indoor Tournament champions and seven-time CSL titlists NY Pancryprian Freedoms. NY Greek Americans are the title holders. Sitting atop of the regular season Over-30 table, Manhattan Kickers are the favorites to bag this year’s Indoor Over-30 trophy.